With the Murray River cruises, you are guaranteed of unforgettable experiences. 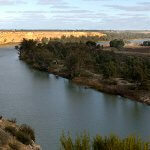 The Murray River is described as a great river, thus, making its cruise a wonderful experience. It is an extremely wonderful adventure if you get to see the incredible length and landscape from a boat. How to enjoy the Murray River cruises. If you are planning a boat cruise, it is more exciting when you are a group. This same factor applies to the Murray River cruise. The cruise is more exciting and enjoyable when you are with other people. You can plan your group boat cruise with the organizers. There are boat cruise organizers that can cater for up to 10 people. With such boat cruise organizers, you are sure to have a memorable boat cruise experience. You can enjoy a memorable event with a boat cruise on the Murray River. Some of the events that you can hold are birthdays, business lunch, Christmas get-together etc. So, it is advisable that you find any boat cruise organizer that is willing to provide this support for you. There are even organizers that will offer you a professional assistance on how to design a perfect event. Another factor you should consider is the organizers’ local tourist destinations. A good boat cruise organizer should have local tourist destinations where you can enjoy a unique dining experience. There are boat cruise organizers with a liquor license. If you love to drink beer and/or local wines then these cruise organizers are recommendable. Enjoying your favorite beer and wine while on a boat cruise creates a thrilling adventure. For this reason, it is advisable for people to consider this when planning a boat cruise. Cups of tea and coffee are also made available for people who are interested. So, a truly serene experience awaits you whether you prefer a cup of coffee or a mug of beer. As you journey along the Murray River, you can learn more about nature. You can see the distinctive bird life, enjoy the quiet and smooth waters, view the limestone cliffs, and so on. 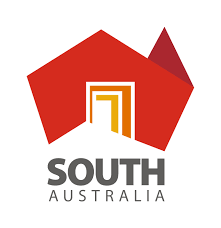 Other views that you can enjoy include the native gum, mallee trees on the river banks, and the native flora. Apart from the above, there are other boat cruises that can also provide unforgettable experiences, such as Broken Cliffs Cruise, Yarra Cliffs Cruise, etc. Finally, from the points discussed above, it is seen why the RiverGum Cruises is what you are looking for creating you next memorable experiences. For more information about the cruise packages contact RiverGum Cruises.